Check-in begins at 7:30 AM. Courses run from 8:00 AM to 5:00 PM daily. Because vibration can cause critical operating problems in heat exchangers, it is important to analyze the potential for flow-induced vibration. This workshop teaches you how to develop an input file, interpret results, and obtain accurate prediction of the vibration potential for installed units. Using Xvib you’ll practice determining if a heat exchanger is susceptible to vibration damage. Senior Consulting Engineer, Technical Services and Sales, provides technical support and training for HTRI. He earned a BSc and MSc in Chemistry and a PhD in Organometallic and Materials Chemistry from the University of East Anglia, Norwich, UK. During his tenure there, he conducted research at Wolfson Laboratory for Materials and Catalysis. He previously held the position of Thermal Design Supervisor at Tecnicas Reunidas in Madrid, Spain, gaining valuable experience using HTRI methods and software. Mountford oversaw the development of several high-profile PWR and BWR nuclear plant projects, as well as gained valuable experience in the thermohydraulic design of heat transfer equipment for the petrochemical and nitric acid/nitrates industries. 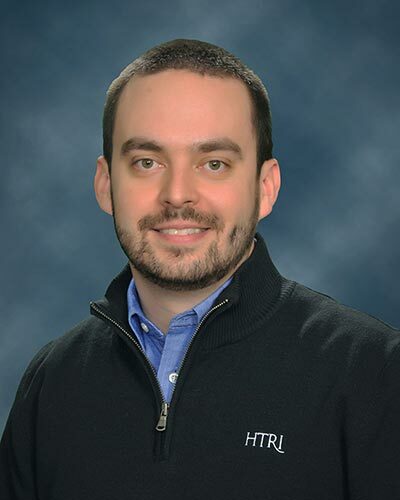 His experience in using HTRI Xchanger Suite makes him uniquely qualified to bring an end-user’s perspective to the HTRI training program and to share techniques for effectively working with the software. Vice President, Global Sales & Marketing, joined HTRI while completing his PhD in Chemical Engineering at the University of Surrey, Guildford, UK. His doctoral work focused on fouling and design of compact heat exchangers. He also possesses a mechanical engineering degree (Dipl.-Ing.) from the Technical University Karlsruhe, Germany. Zettler completed multiple internships in industry throughout Europe while pursuing his education. Zettler is responsible for Sales in Europe, the Middle East, and Africa. He is a member of the German Engineering Society (VDI), a member of the VDI-GVC Working Party on Heat and Mass Transfer, an associate member of the Institution of Chemical Engineers (IChemE), and a committee member of the Heat Transfer Society, United Kingdom.